Last Sunday Line, my brother’s youngest, celebrated her second birthday! It has become a sort of a tradition that I give the girls something I made myself for their birthdays and this time was no different. This time I chose a pattern that has been in my favourites for a while now, but I never made it, since it only comes in one size, namely 2 years. I’m talking about the violet dress by Shelby Dyas. 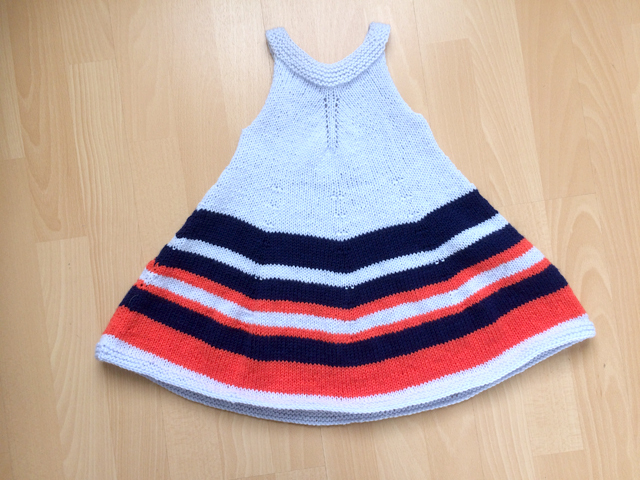 But I didn’t use violet to knit this number, but went for a random stripe. I really liked how this version turned out, but still I was in doubt about the size. 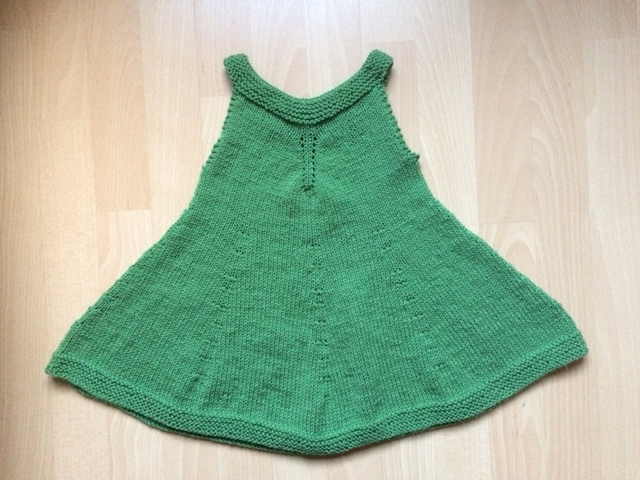 I always think my knitwork will be too small, even when experience tells me it is usually too big. So yeah, due to the doubt, I decided to knit up a second dress which would be a tad bit larger, by recalculating the stitches. I also made the armholes a little nicer by using the ribstitch. For this version I only used one colour, a beautiful grassy green.